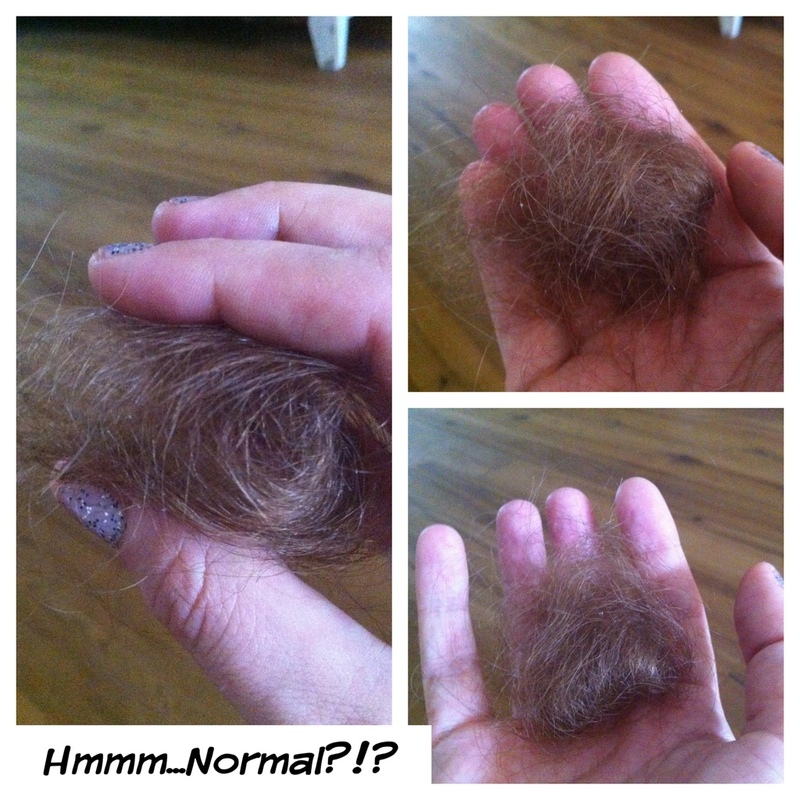 Hairball gigantico :( – . Not funny anymore – guess I need to go for short hair pretty soon. This hairball is from my brush, cleaned it Thursday night so it’s a collection of 3 times brushing. Not to mention all the hair I lose during the day, it’s literally everywhere. Maybe it is stress related. I had the same after Nash was born. Good luck!